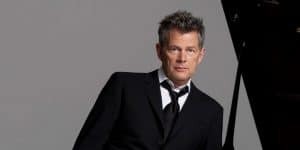 Andrea Bocelli, Josh Groban, and Michael Bublé lead a parade of entertainers nurtured by Canadian-born producer David Foster. Recorded live in performance in Las Vegas, Hitman: David Foster & Friends features Foster himself presiding center stage at the keyboard. The evening is a virtual jukebox worth of songs written by and/or produced by him. Kenneth “Babyface” Edmonds and brother Kevon offer “I Swear”; Brian McKnight revisits Earth, Wind and Fire’s “After the Love Has Gone”; and former Chicago frontman Peter Cetera gets down with “Hard to Say I’m Sorry,” “You’re the Inspiration,” and “Glory of Love.” Plus, see a special performance by Celine Dion, and much more! On CPTV: Saturday, December 9, 2017 at 8:30 p.m.